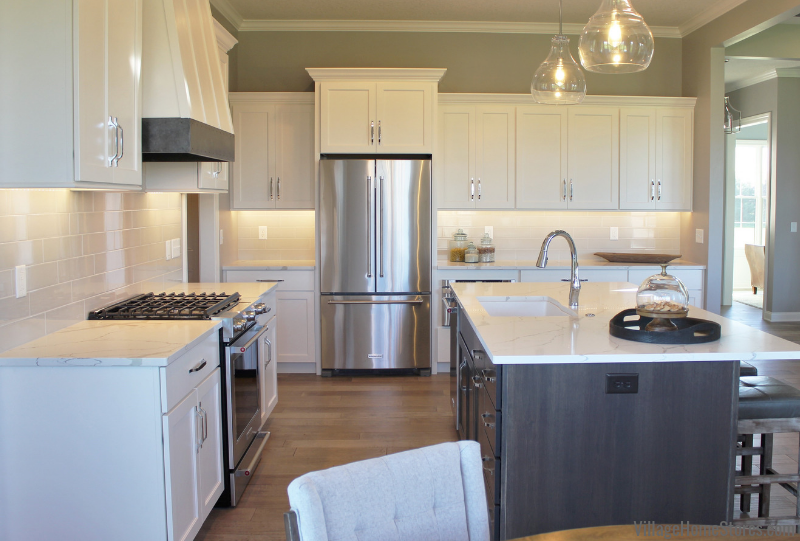 Our Dura Supreme line of cabinetry is always so great to work with because they offer such a wide variety of rich wood finishes but also many painted options. 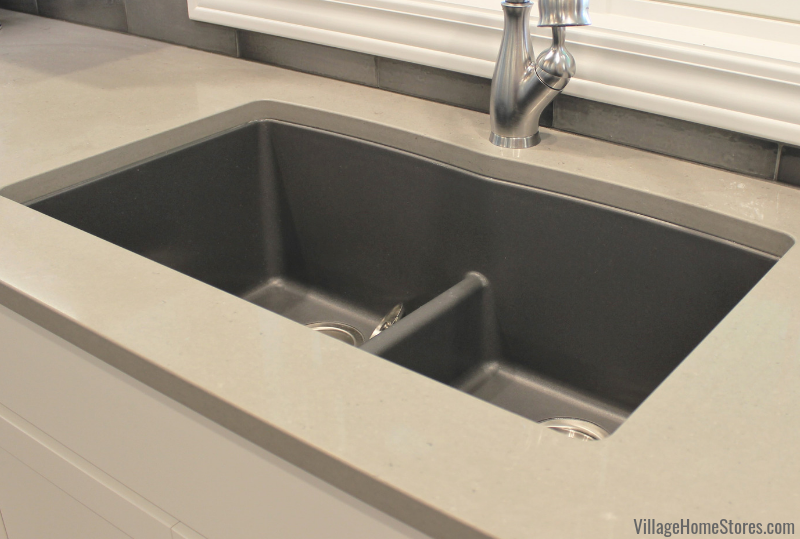 Dura Supreme keeps their thumb on the pulse of kitchen and bath trends and helps to keep on-trend product available at a great price for our customers. Plus they bring you colors that aren’t just named “gray” but instead “Attitude Gray” and for that we love them even more! 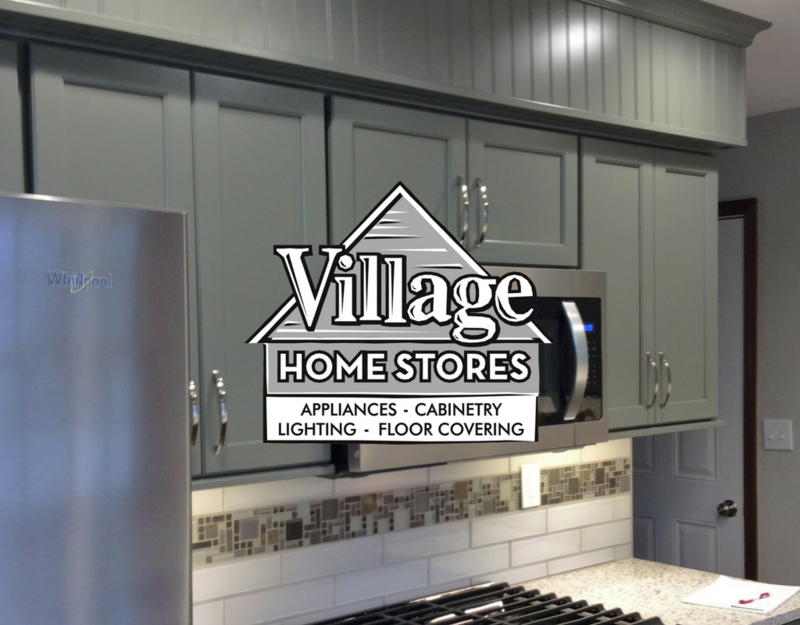 Check out this “Attitude Gray” painted kitchen in Geneseo, IL that we just remodeled. 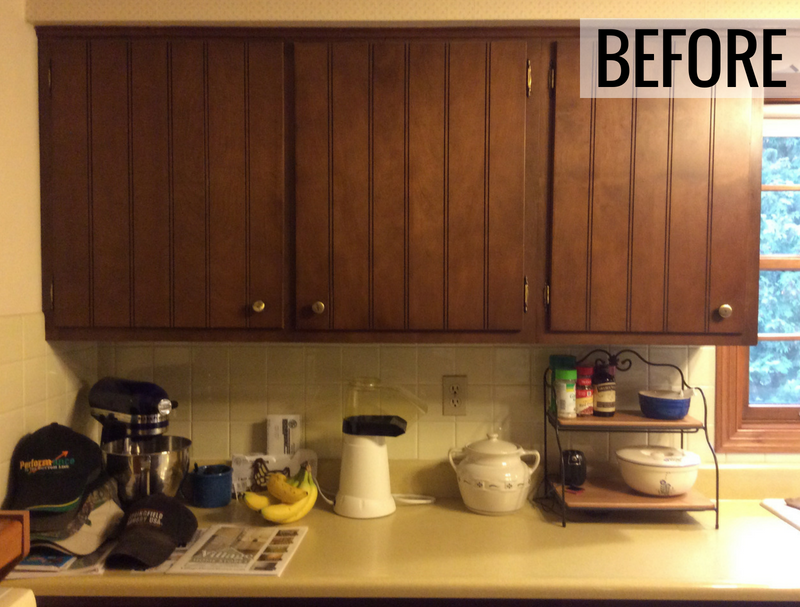 So many times customers are fearful that if they eliminate wood finished cabinets from a kitchen it wont feel warm. Not the case! Don’t forget that wood flooring surfaces continue to be a great look for kitchens and can really warm up a space. This Geneseo kitchen has a new Hickory wood floor installed in a “Genoa” stain. Our Diode Undercabinet lighting system also helps to wash the space in a warm light day or night. 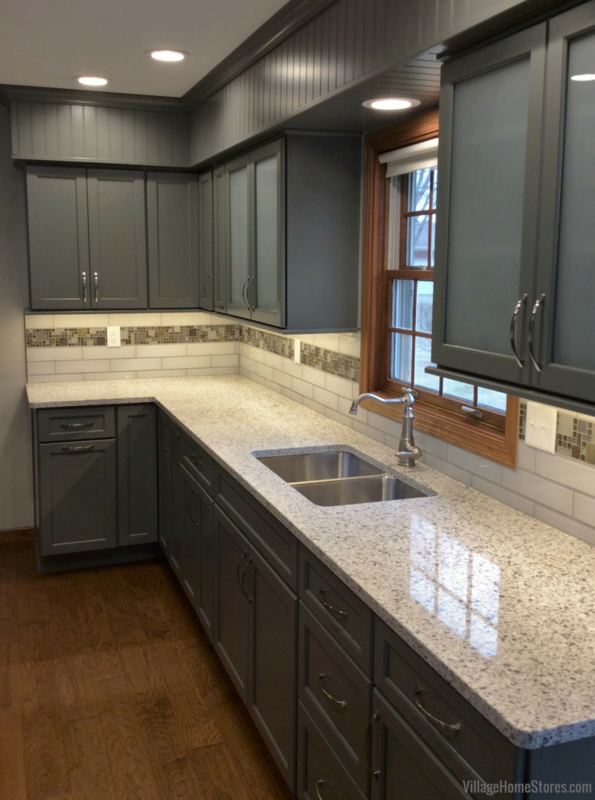 The original kitchen included cabinetry in a medium wood tone with exposed barrel hinges and laminate countertops. We just love this new Curated Color Collection from Dura Supreme! It is a fantastic collection of fresh and current painted finishes (and the finish names are so fun). See the full collection here at this link. We all see color differently and it should come as no surprise that everyone sees this painted finish differently. This “Attitude Gray” paint gives an almost green-gray look to most. And paired with Hickory floors and deco tile selected, The earthy green colors come out even stronger. 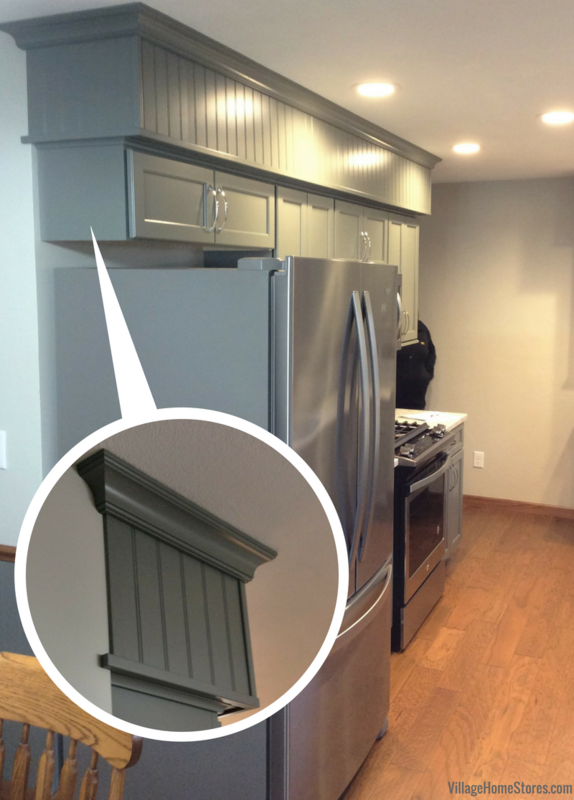 The original kitchen included soffits above the cabinetry and instead of tearing those out, beaded panels and molding have been applied for a custom-wrapped soffit look. This can be a wonderful solution for kitchen designs that want the built in look to the ceiling but don’t need the added storage. Beaded panels cover the main face of the soffits and crown molding and trim cover all the seams. 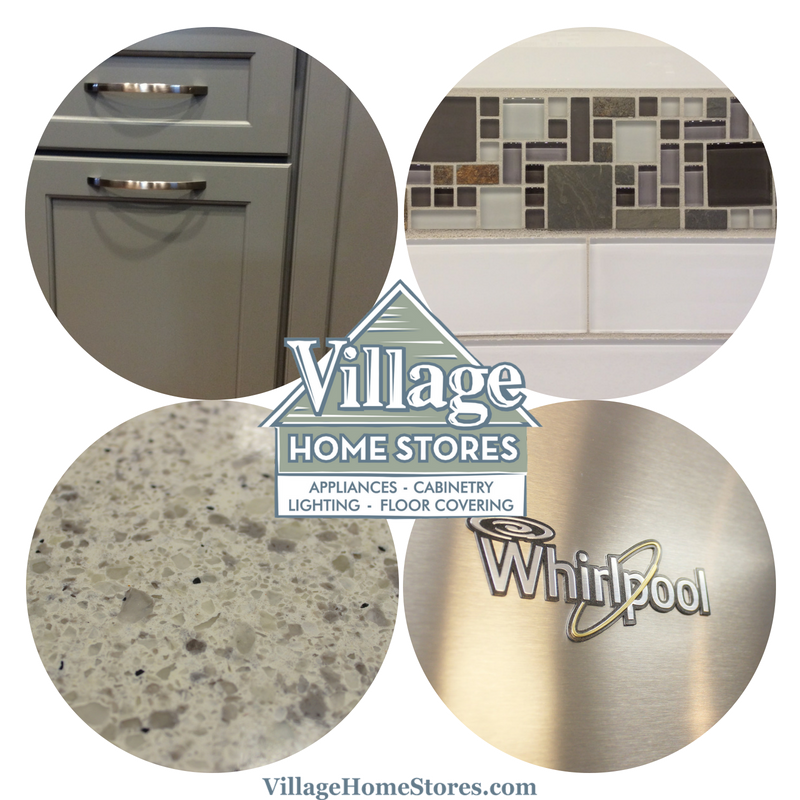 A suite of Stainless Steel Whirlpool appliances is included in this new kitchen. 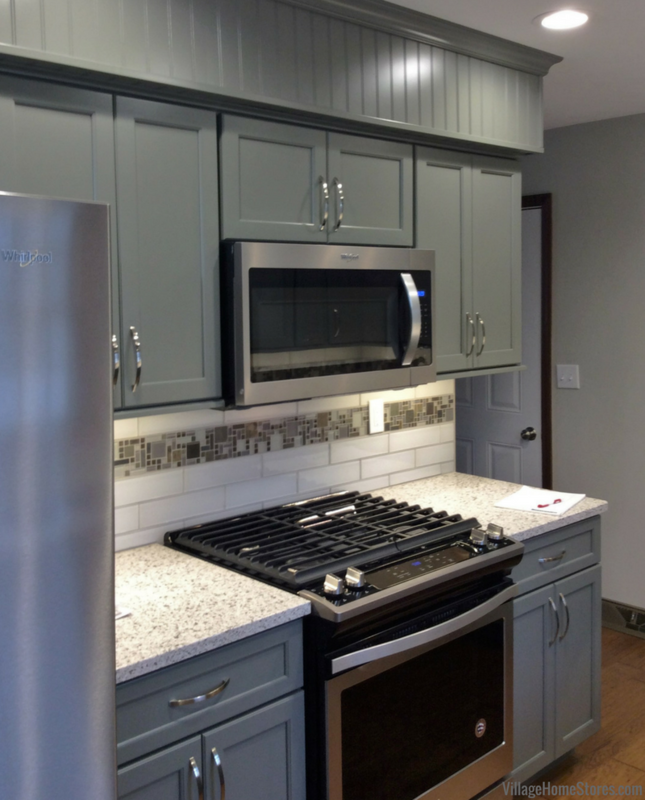 A sleek front-control gas range and microwave hood create a stylish and functional cooking zone in the new kitchen. This gas range is a great model because it offers what used to be referred to as a “slide-in” look but can be installed in any standard 30″ wide freestanding range opening. Moving all of the controls to the front allows the design of the range to have no back raised apron area. 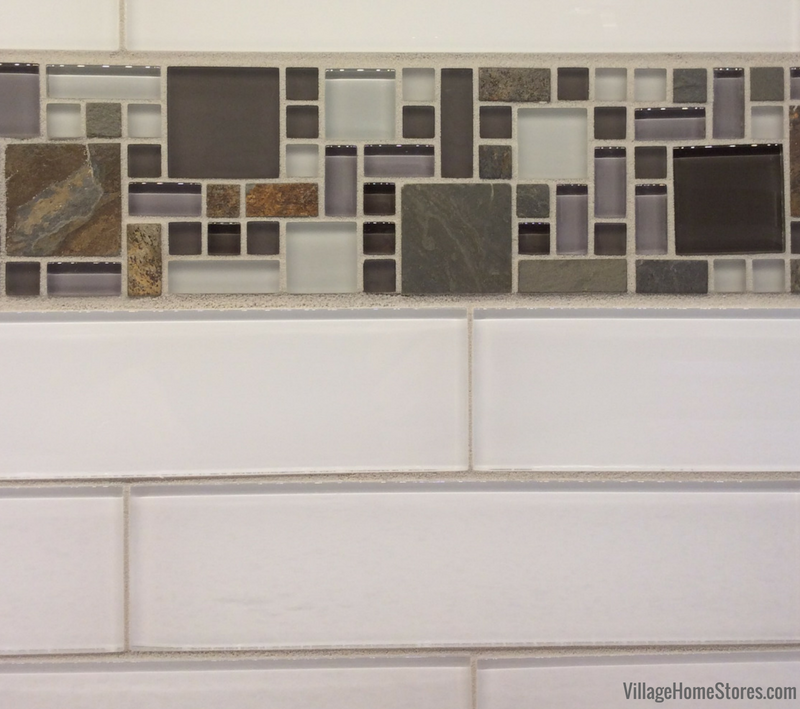 That leaves more space for your wall tile to be shown off! 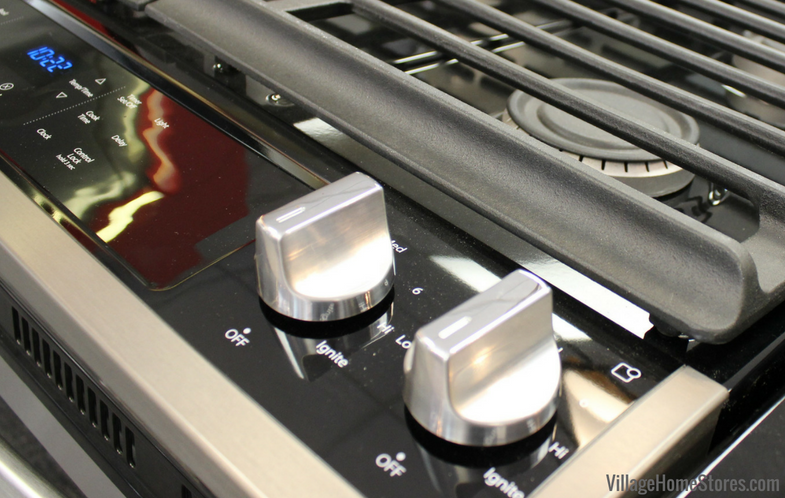 Full-width grates make it easy to slide pots and pans from burner to burner if needed. 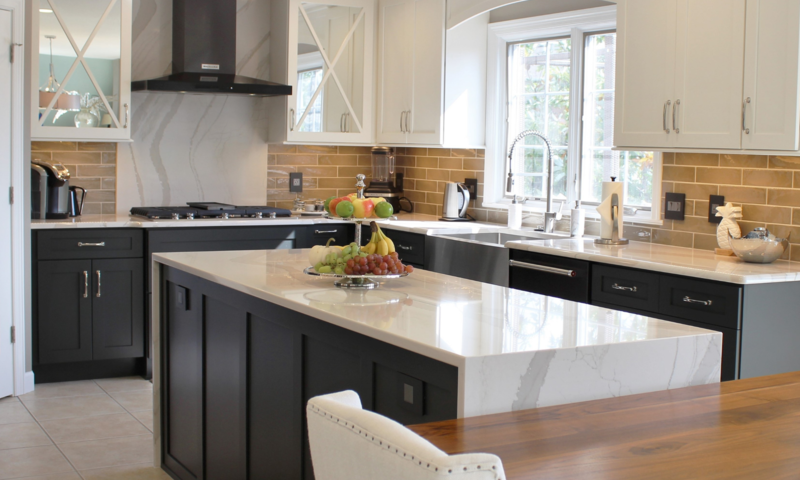 An engineered quartz has been selected for the kitchen countertops. 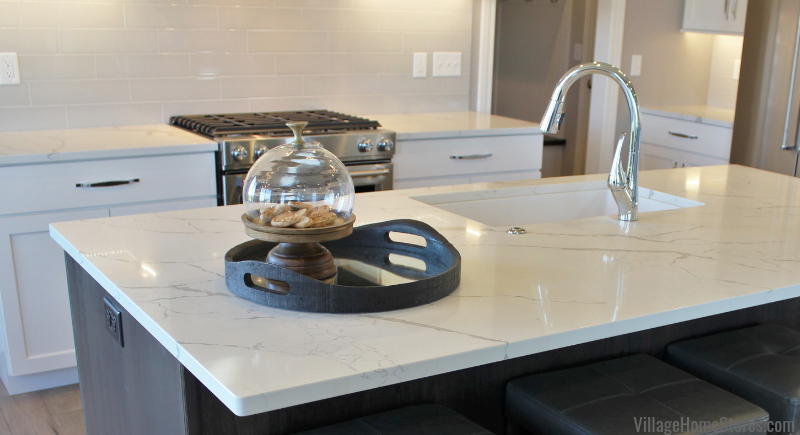 “Peppercorn White” Quartz is a great blend of warm white quartz colors in a tight, controlled pattern. From far away it looks solid white, and up close you get a subtle pattern and sparkle. A great neutral choice. 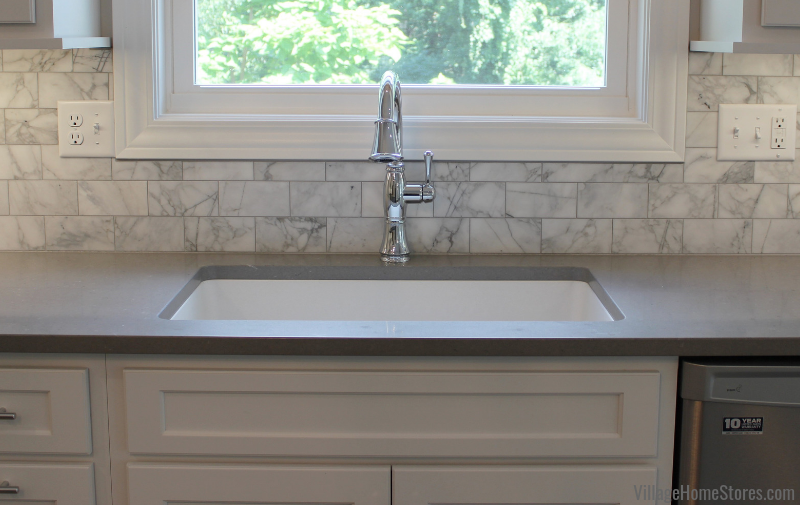 A 3″ x 12″ glass tile creates the main field for the kitchen backsplash and a 4″ tall row of deco tile breaks up the space and adds earthy texture. 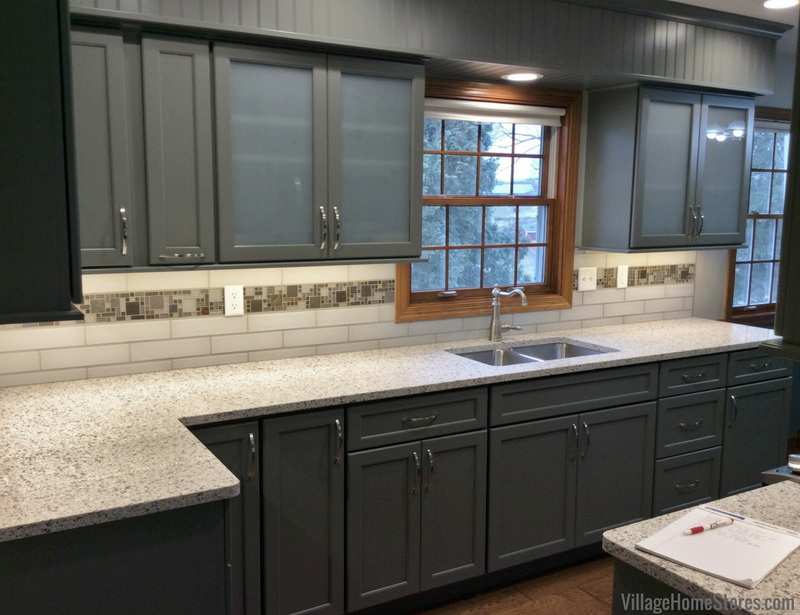 The Glass and Slate mosaic tile is from our Glazzio line in the “Sag Harbor Gray” color. 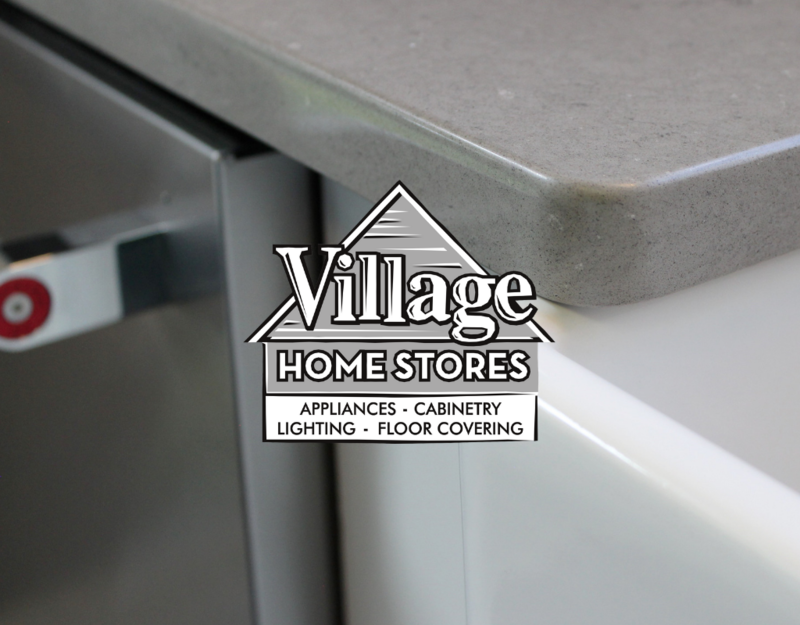 Are you ready to start your own before and after story with Village Home Stores? We can help as little or as much as you need. Have your own contractor? No problem! 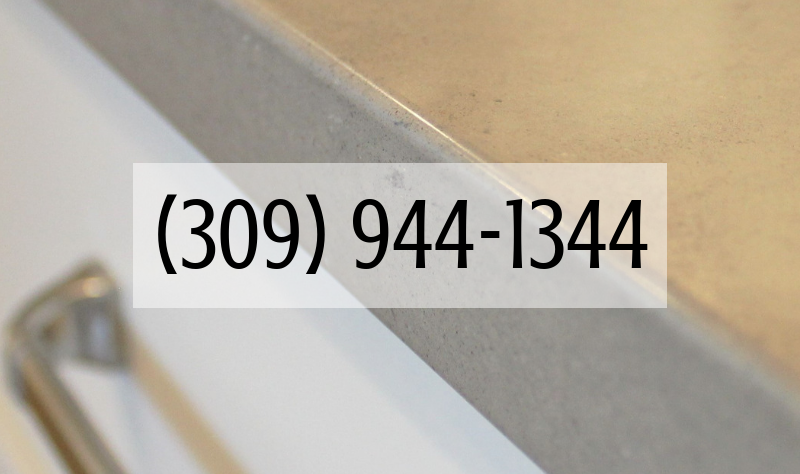 Our team can provide you with an expert design and materials selection and you can take it from there. Need us to manage it all? Our Complete Project Management Program is available to you. We handle it all for you from start to finish. Your first step is to reach out to our team. 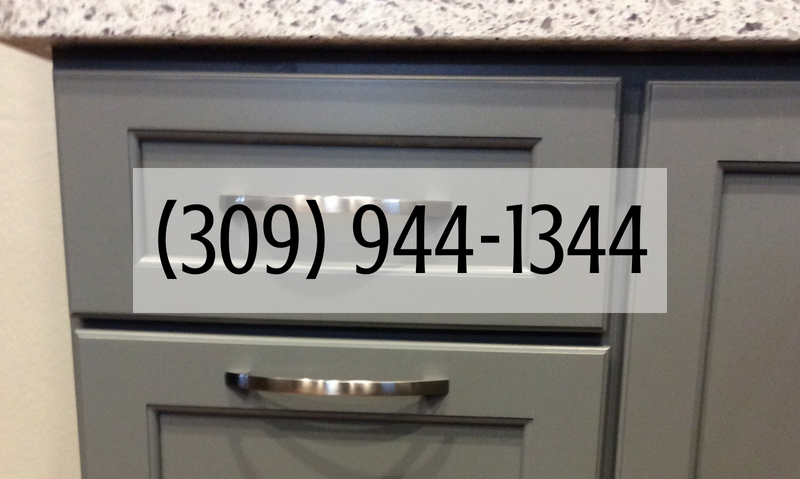 Call us at 309 944 1344 or complete this short online form and a member of our team will reach out to discuss your project.